WANT TO EXPLORE MORE PROJECTS? CLICK THE BUTTON BELOW FOR A COMPREHENSIVE LOOK INTO OUR PORTFOLIO OF WIDE-RANGING PROJECT TYPES. We pride ourselves on being exceptionally responsive to our clients' needs and our assertive "can do" mentality distinguishes us from the standard. We feel utterly blessed to be able to practice the profession we love, while doing things a bit differently and having fun along the way. Our 161 Granby Street project is published in Engineering News Record (ENR)! Read why Danny Speight didn't lose any sleep over straightening the over a century year old "Leaning Tower of Granby." Speight Marshall Francis was voted 2018's "Best Engineering Firm" in the BOB Awards by CoVa BIZ Magazine! Our projects ICON Norfolk and Peninsula Town Center Apartments Building G received Hampton Roads Association for Commercial Real Estate (HRACRE) Design Awards. “The Main” Hilton Hotel and Conference Center celebrated its grand opening in an exceptionally GRAND way. Sign up to receive our latest technical bulletins & news. 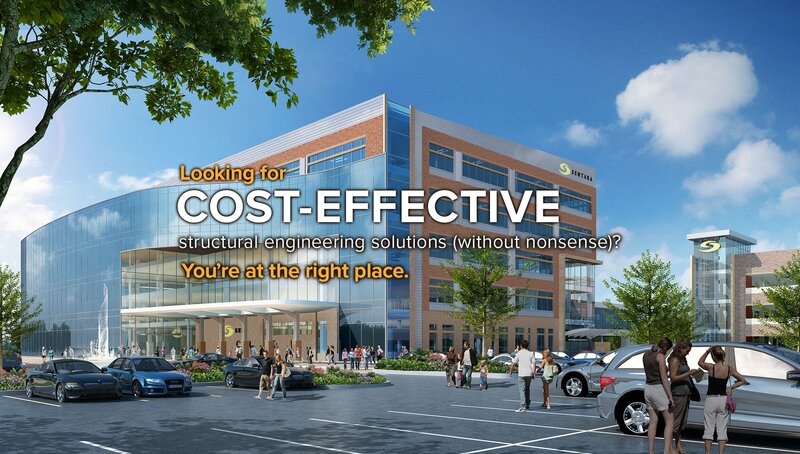 Are you inspired by your passion for developing cost-effective, creative structural engineering solutions that make sense? Want to be part of a collaborative team with a progressive, small firm environment without all the red tape where your innovateive ideas can really make a difference? If you thrive in a fast-paced setting and have strong experience designing a wide-variety of project types, then applying for a Structural Engineering position with Speight • Marshall • Francis is the precise fit for you! From initial evaluation of several different structural systems prior to full design to sending your engineers to the site whenever needed to inspect the work or review shop drawings and field conditions, your firm was always there ready to help. SMF always responds to our requests and the needs of our clients in a professional and expedient manner. Through the course of our affiliation, I have found them to be highly qualified, enthusiastic, knowledgeable, and professional. Their approach has been to work closely with us, to listen to our needs and concerns, and then address our unique needs and concerns.